SEC Commissioner Robert Jackson Jr. — the sole member of the commission chosen by congressional Democrats — says the agency’s proposed Regulation Best Interest needs to have bipartisan support among his colleagues to weather legal challenges, according to news reports. "A rule like this is going to be long litigated, not just in the [U.S.] D.C. Circuit [Court of Appeals] but in the marketplace for years," Jackson said at the Practising Law Institute's SEC Speaks conference in Washington, according to InvestmentNews. "This is a unique moment in which we can and should speak with one voice." 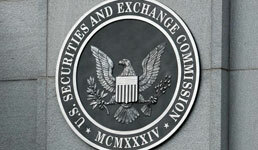 Jackson also said the SEC should make “significant changes” before the final rule, including making it clear that brokers will be required to put clients’ interests first and putting restrictions on practices that could lead to conflicts of interest, the publication writes. Aside from Jackson, all the SEC commissioners were picked by Republicans, InvestmentNews writes. Last week, President Donald Trump nominated Allison Herren Lee to fill outgoing Democratic SEC Commissioner Kara Stein’s seat, which would restore the agency to its full five-member strength. It’s unclear, however, whether the SEC will wait for Lee’s Senate confirmation to do a final vote on Regulation Best Interest, which will overhaul rules on broker and investment advisor conduct. The Senate could take weeks or even a couple of months to confirm Lee, and experts say the SEC will vote on a final rule this summer, according to InvestmentNews. Jackson told reporters at the conference that the commission benefits “from broader views,” according to the publication. "But I don't set the agenda, and I am aware of the fact that there are those who would like to proceed with the personnel we have at the moment,” he said, according to InvestmentNews. Meanwhile, SEC Chair Jay Clayton, speaking to reporters on the sidelines of the PLI conference, didn’t clarify whether he would hold the final vote until Lee’s confirmation, the publication writes. "In my time at the commission, I think we've had five different configurations of the commission," Clayton said, according to InvestmentNews. "Who knows?" But he also said it’s on the SEC’s agenda to get the final rule prepared by September, according to ThinkAdvisor. “I’m very confident that the economic analysis that will accompany a final rule in the space will be robust,” Clayton told reporters at the PLI conference, according to the publication. Last month, Jackson said that the SEC’s “economic analysis was not a serious attempt to understand the effects of the rule,” according to ThinkAdvisor.